Brooklyn-based artist Justine Cooper investigates the intersections between science, medicine, and culture. 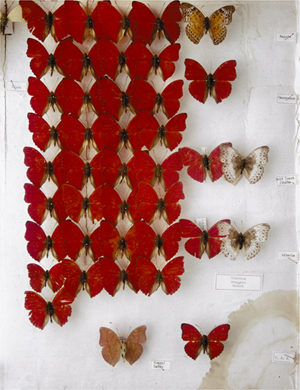 This photograph is from a larger body of work entitled “Saved by Science.” Cooper created this series over the course of a year as artist-in-residence at the American Museum of Natural History, New York. Using a vintage large-format camera from the museum's collection, she photographed the storage areas of the museum, revealing the massive collections that are typically hidden from public view.